Introducing the newly renovated Or Rouge Skincare range, now with a higher concentration of Saffron Flower pistils. Harvested by hand in the heights of the Atlas Mountains, the pistils of Saffron Flowers are then delicately extracted from the heart of the flower and carefully dried, before being stored in airtight and lightproof glass jars. This exceptional ingredient is used in its rawest forms as part of the beauty rituals of the women who live in the mountains.. Gently infused into Moroccan oil, the Saffron Flower pistils are applied to the face – a ritual thought to stimulate blood flow and spark an illuminating complexion. 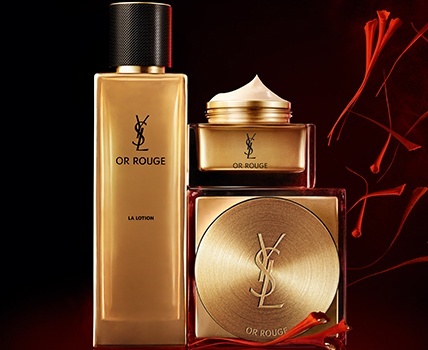 YSL has uncovered the secret of the Saffron Flower pistil and selected it as the key ingredient of the Or Rouge Skincare range. 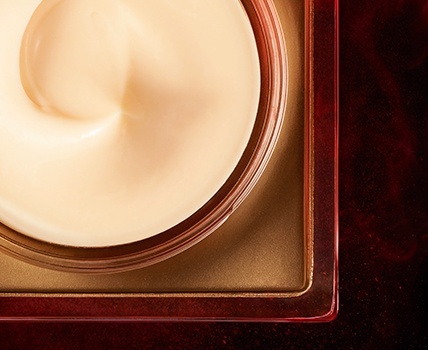 The newly renovated Or Rouge Crème, now with a higher concentration of Saffron Flower pistils, envelops the skin in a light and soft formula, while helping to correct visible signs of ageing. Now available in a refillable format. The cream specifically targets the appearance of several signs of ageing: roughness, lack of firmness, dullness, lack of elasticity, wrinkles and fine lines, uneven skin tone, visible pores, dark spots, sagging, and smile lines. 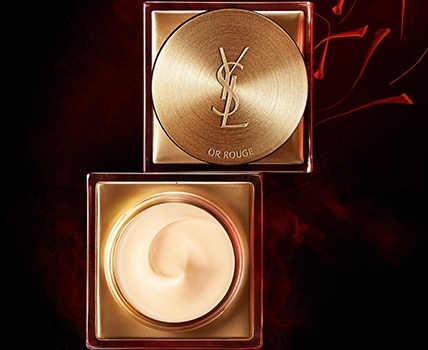 YSL’s Or Rouge Crème Regard targets the main visible signs of ageing around the eye area, leaving it looking more radiant and nourished. The formula targets the look of the main signs of ageing by smoothing and plumping the delicate eye area with moisture. 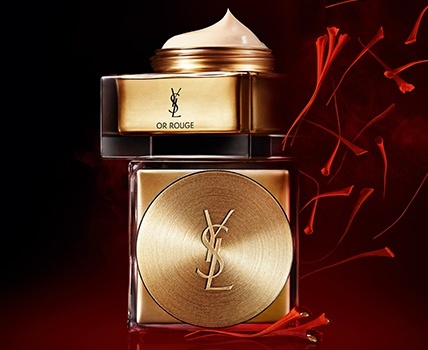 YSL’s enriching and soothing Or Rouge Lotion infuses the skin. Use in synergy with Or Rouge Cream. The fast-absorbing formula intensely hydrates, visibly softening and improving the feel of skin texture. Skin feels intensely nourished, softened and luminous.